Did you know that, according to Sendgrid’s email deliverability statistics, a whopping 21% of emails never make to the recipients’ mailboxes? That’s because many senders don’t follow email deliverability best practices. We’re not talking about emails ending up in spam. 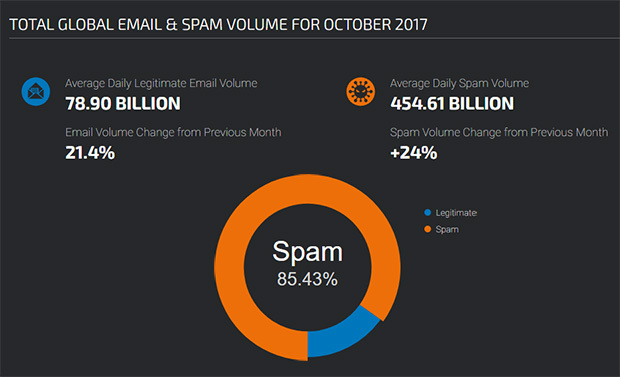 Believe it or not, even though 455 billion spam emails are sent each day, that’s not the biggest problem with email marketing campaigns. If emails end up in spam, at least they’ve been delivered. We’re talking about emails that never even get that far. As you’ll see, that’s what email deliverability is all about. As we’ve said many times before, email marketing is, hands down, the best way to reach your customers. But if the recipients never get your emails, you’re wasting time and money, and missing out on leads and sales. The only way to solve that is by following best practices for email deliverability so more of your emails reach the inbox. In this guide, we’re going to outline the email deliverability best practices that’ll help you reach more of your subscribers’ inboxes. Get this right and you’ll get more value from your investment in email marketing. The tips are ordered from simplest to most complex, and there are a few technical ones your email service provider will look after for you. We’ll flag those as we go, but we’ll start with an email deliverability definition, just so it’s crystal clear what we’re talking about. Email deliverability is a measure of how many of your emails actually reach your subscribers’ inboxes, often expressed as a percentage. And it’s a growing problem. Email providers such as Gmail, Yahoo, and others are continually coming up with new ways to keep spam out of their users’ inboxes. Whenever you send an email, they will verify that it’s legit and did actually come from the source it claims to. As spam keeps getting worse (and more clever), internet service providers and email service providers are tightening their restrictions. What we’re seeing is that they’re starting to block many emails that previously would have gone through and been delivered with no issues. Sometimes they may end up in the spam folder, but just as often they never even get delivered at all. Are your emails reaching their destination? Unfortunately, you won’t get notified if your emails are being blocked. They just disappear for good. So how do you find out whether they’re being delivered? One way to check whether you have an email deliverability issue is to run an email deliverability test with a purpose-built tool. These tools check for a range of deliverability issues, including whether your email is flagged by major spam blacklist databases like Spamhaus and Spamcop. Email service providers often use those blacklist databases to determine which emails to block. So if you’ve somehow made your way onto one of those lists, your newsletters are going nowhere. There are several tools to choose from. In many cases, they provide an email you can use to send a test email, and then they provide a deliverability report. You’ll usually need to sign up to see the full report. Let’s see how this works with MailPoet’s free Mail Tester tool. Go to the home page. 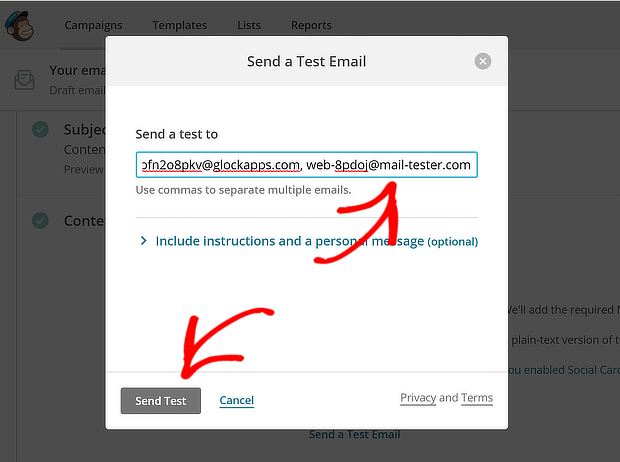 You’ll see a test email you can use with your email service provider. Copy this, as you’ll need it later. Go to your email service provider. We’re using MailChimp, and duplicated an existing campaign for testing. 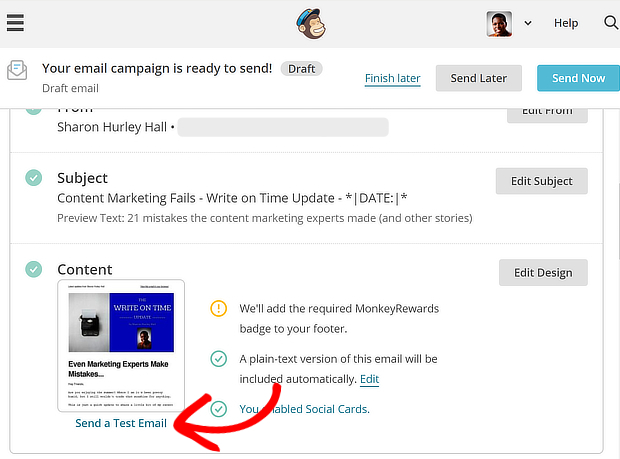 In the campaign builder, click on Send a Test Email. This’ll pop up a box where you can enter the test email address you copied from Mail Tester. Press Send Test, then return to Mail Tester and press the Then Check Your Score button. You’ll get an overall score. There’s also a summary report below, which identifies errors you can fix. Here’s how a report for the same email campaign looks in G-Lock Apps, which lets you run three tests for free. You can also use email deliverability services as part of Litmus and Email on Acid, both of which offer free trials. It can be tempting to grow your email marketing subscriber numbers by buying an email list, but it’s a really bad idea. That’s because the people on that list didn’t opt in to receive your emails, so the chances are that when they get them, they’ll mark them as spam. Spam reports affect your sender reputation (see tip #6) and may violate your email service provider’s terms of service, which could get your account shut down. So is it really worth it? Definitely not! Learn more about this email deliverability best practice in our article on the reasons why you should never buy an email list. When assessing email deliverability, pay attention to the delivery reports you get from your email service provider. Those reports have important information to help you identify potential deliverability issues. As marketers, we often focus on open and click rates so we can measure conversions, but for email deliverability, it’s more important to look at bounces and complaints. If too many emails bounce, then your sender reputation (see tip #6) will take a hit. That’s because a high bounce rate suggests that you might be working with outdated subscriber information, which can be a sign of shady email marketing practices like purchasing lists. Complaints, which is where recipients mark your emails as spam, also affect email deliverability rates. Get too many complaints, or have too many emails marked as spam in the inbox, and you’ll end up with a poor sender reputation. Mailbox providers respond by getting rid of your emails before recipients can see them. That’s something you definitely want to avoid! 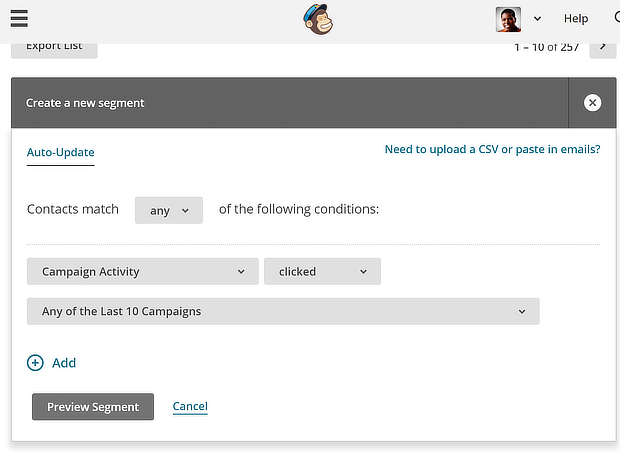 To find bounces and complaints in Mailchimp, login to your account. Click on Reports, then go to any campaign, and click View Report. Scroll down to see Bounces and Abuse reports. You can also see more detail on complaints by navigating to Activity » Complained. A poor delivery rate may also indicate a deliverability issue. You can also find this information in the Reports interface for any campaign. Check for a delivery rate in the high 90s. If it’s lower, keep reading this guide to find out how to resolve it! Did you know that 43% of people mark emails as spam just because they don’t find it easy to unsubscribe, or can’t be bothered? If that happens with your emails, it’ll affect email deliverability. One of the best ways to handle this issue is to make it easy for your subscribers to manage their preferences. There are a couple ways to do this. First, you can include a link in every email to let people update their information, for example, by changing the email address where they receive your emails. Most email service providers include a link in the footer of your email to let subscribers do this. You can also add it manually to other parts of your emails. But you can also set up an email preference center by having that link go to a form that offers other subscription options to your subscribers. Here’s how ConstantContact suggests you do that. Giving subscribers a choice can help you keep them on your list rather than sending them to those unsubscribe or spam buttons. For example, they can decide that they want to receive emails less often (weekly instead of daily), to pause emails for a while, or opt out of certain email categories. SendGrid found that using an email preference center reduced the number of unsubscribes by 20%. 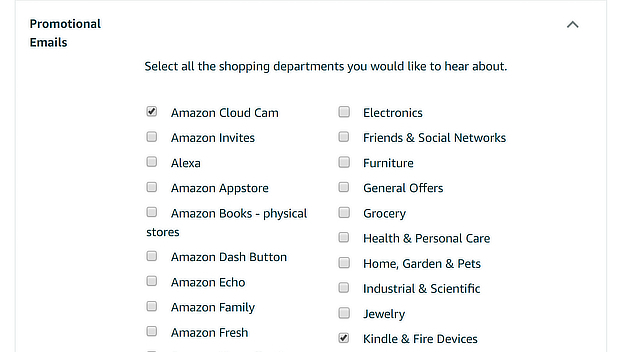 Here’s an example of an email preference center from Amazon. If you really want to improve your sender reputation, with a resulting boost in email deliverability, it’s important to have more people reading and clicking your emails. Here’s a tip: the people most likely to engage are those who have engaged repeatedly in the past. That’s why it makes sense to create campaigns specifically for these users. We’re going to show you two ways to find these users in Mailchimp. You should be able to use a similar process to find these users in other email marketing services. Here’s the first method. Go to Lists and click on Manage Contacts. Select Segments in the drop down menu. Click on Create Segment. Select Campaign Activity in the first box. Change the second box to show Clicked, as these are people who acted on your emails. Choose the number of campaigns you want to measure this data for. Click the Preview Segment button to see which subscribers are part of the segment. Click Save Segment. 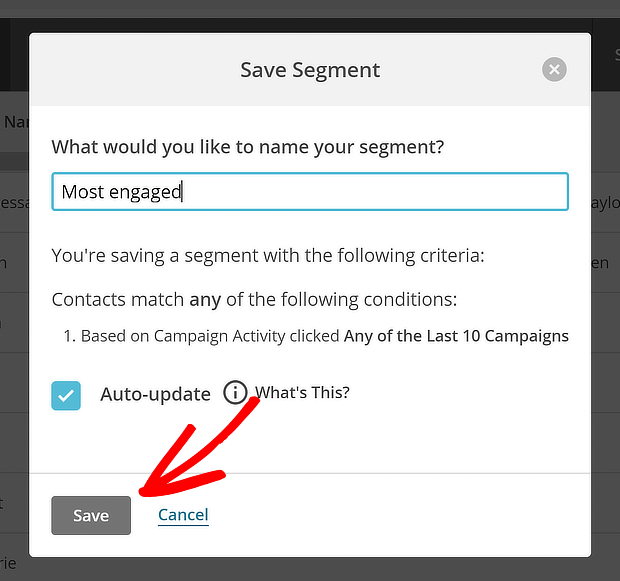 This segment will auto-update and you can use it to always send to engaged subscribers. 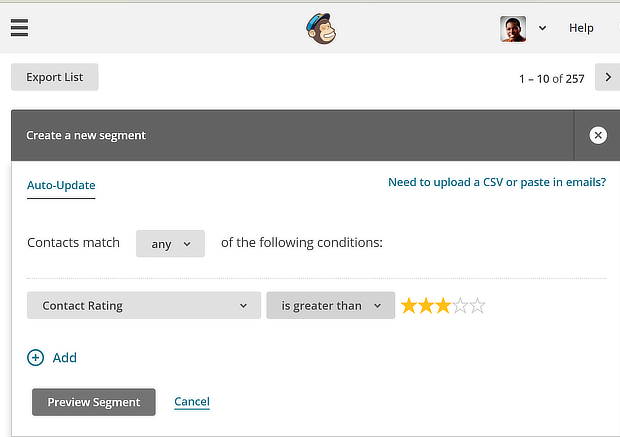 Mailchimp also has a star rating system for your email contacts, ranging from 1 star for people who have bounced or unsubscribed to 5 stars for those who consistently engage with your campaigns. You can also use this information to segment your subscribers. Follow the process described above to get to the segment creation window. This time you’ll select Contact Rating and make sure it’s above 3 stars. Preview and save the segment as before. One of the key email deliverability best practices, which is also generally recommended for email marketing, is to segment your emails. Instead of sending mass emails to your whole subscriber list, send emails that’ll truly interest them. Letting subscribers fix their email preferences, as mentioned in tip #3, is one way to do that. But you can also use OptinMonster to segment users on your site and funnel them to targeted lists based on their interests. That’s because OptinMonster integrates with all leading email service providers, including MailChimp, Aweber, Constant Contact, and many more. 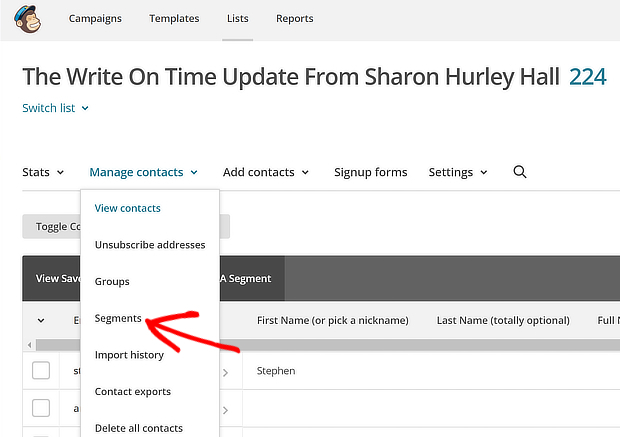 With these native integrations, you can access your lists within the OptinMonster dashboard, and make sure your new subscribers are automatically segmented as soon as they sign up. For example, let’s say you’re an eCommerce retailer with multiple product categories. You can use page-level targeting to display targeted campaigns to people who visit specific product categories. Then once they sign up, you can send them email offers and promotions specifically related to that product category. To make this happen, follow our guide to creating your first OptinMonster campaign. See our page level targeting guide to find out how to create targeted campaigns that only display on certain pages, and then see our integrations to find out how to segment your new subscribers in your email newsletter. Now, we’re starting to get a little more technical. Sender reputation is a big factor in email deliverability. That’s because if it’s poor, very few emails will reach the spam box, let alone the inbox. So, how do you determine what your sender reputation is? Sender reputation is based on a number of factors, and you don’t control all of them. For example, it includes your domain reputation. If you’re a new business with a new domain, then you have no track record, so you won’t have a great reputation yet. (We’ll show you a neat trick to boost your reputation faster in tip #9). Another important factor is the reputation of your email host, who’s effectively sending those emails. You can check that with a combination of two tools. Mail-Tester, which we mentioned earlier, gives you a report on email authentication. Click on it to see the IP address of your email server. Copy that, then go to the Talos Intelligence reputation lookup tool, previously known as SenderBase. Enter the IP address into the box on the home screen, and wait for the report. Pay attention to Email Reputation – this should be good. If it’s not, you may need to consider having your email marketing campaigns come from a different IP address or mailbox provider. Other tools to use to check this information include Return Path’s Sender Score (free account required) and WatchGuard’s Reputation Authority. 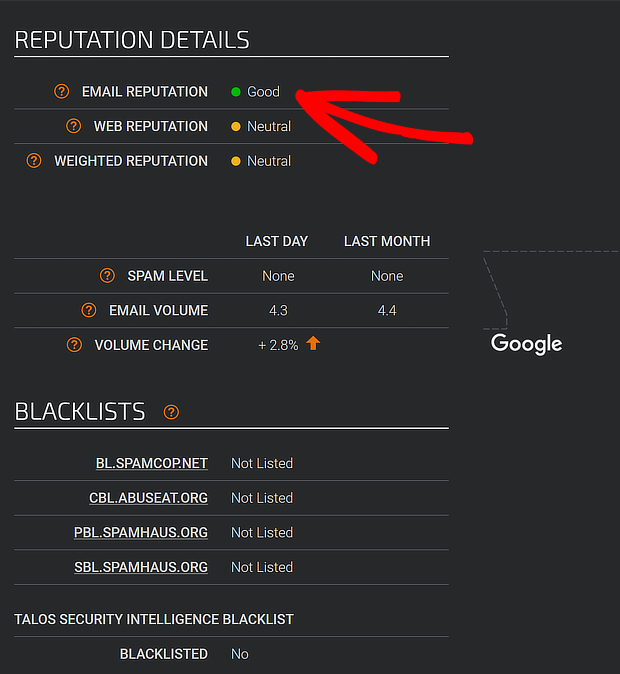 You can use some of these same tools to check whether your mail server has been blacklisted. For example, here’s Mail-Tester’s blacklist report for our test campaign. Blacklisting happens if the mail server is known to send a lot of spam. Even if you’re not sending spam yourself, if your email is coming from a shared mail server that HAS been, then your own email deliverability could be affected. Bluehost suggests that email marketers use an email marketing service to avoid the risk of having your domain blacklisted. If the issue is with your email service provider, flag it with them, and they will take steps to solve it, as Mailchimp describes here. One word of warning: if you do discover that your email address has been blacklisted, stop using it to send emails, or the problem will get worse. If you’re sending your email newsletter via WordPress using the default settings, then you’ll likely have a WordPress deliverability issue. WordPress uses the PHP mail function for sending emails, and that’s known to have major issues. That’s because many hosting providers aren’t set up to use this for email. PHP mail can also cause a discrepancy between where your email’s supposed to be coming from and where it actually identifies as coming from. That’s a big red flag for mailbox providers. You can solve this issue by using SMTP (Simple Mail Transfer Protocol), a standard email protocol, to send your email. That takes care of all the authentication issues. The best way to implement this for improved WordPress deliverability, is to use the WP Mail SMTP plugin. Now we’re getting into more technical tips. For the next few tips, if you’re using an email marketing service like MailChimp or Constant Contact, they’ll take care of these technical details for you. But if you’re sending out email newsletters from your own server, you (or your server admin) will need to make sure to verify your email authentication settings. What does all this alphabet soup mean, and why is it important to email deliverability? SPF tries to detect whether an email coming from a domain has been sent by an authorized IP on that domain. It fights email spoofing. DKIM is like a digital signature for an email, which allows the email sender to link their domain with the email messages they send. This shows that the emails are authentic. DMARC help senders stop their domains from being used in phishing and email spoofing scams. Learn more about how DMARC works from ReturnPath. Tools like Mail-Tester identify issues with these protocols and tell you how to fix them. As you’ve seen, your IP address plays an important role in deliverability issues. That’s why one of the most important email deliverability best practices is to “warm up” new IP addresses slowly. What does that mean? That you should start with a few emails to engaged subscribers, and gradually build up to the desired quantity and frequency. A regular sending schedule also helps. If you send tens of thousands of emails the first time you email from a particular IP, that suggests that you could be a spammer, so don’t do it. One question people often ask is whether it matters if you use a shared or dedicated IP for your domain emails. When you use a shared IP (where several domains share a single IP address), then your domain could be affected by the reputation of other senders. When you use a dedicated IP (where the IP address is all yours), you’re totally responsible, which could have consequences if you make any mistakes. Here’s a handy comparison to help you decide. Another important email deliverability best practice is to clean your email list. 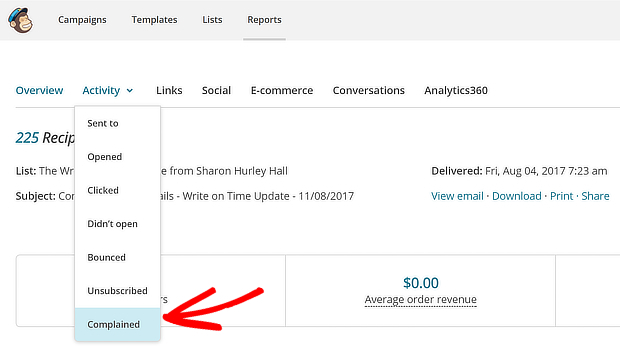 This is easy to do even if you’re not technically inclined, and it can give your email marketing ROI a big boost. Email scrubbing helps you keep your subscriber list full of interested people, while getting rid of the ones who aren’t. More interested subscribers leads to more engagement. This means a better sender reputation which means more emails delivered, helping you meet your goals for conversions, leads and sales. Learn how to clean your email list in our step by step guide to email scrubbing. Watch out for spam trap emails on your subscriber list. These are email addresses that ISPs and blacklist providers use to identify people who aren’t managing their email lists well. These email addresses can appear on bought lists, or scraped lists, which is another reason why you should never do this (see tip #1). Old email addresses that aren’t in use can also be used as spam traps. Again, proper list hygiene (see tip #10) and removal of inactive subscribers should help you avoid this issue. When you’ve followed all the other steps to improve deliverability, there’s no substitute for sending out your email to check what actually happens in the inbox. It’s a good idea to have a few seed (or test) email accounts to test your email on before you send it out for real. Hubspot suggests that this list should include people with email on different domains (Gmail, Yahoo, etc) and using different email clients. That will help you figure out if there are any issues stopping emails from getting delivered – and into the inbox. Check out our beginner’s guide to email marketing for help with this. That’s it! If you follow the email deliverability best practices we’ve shared in this article, more of your emails will reach the recipients, making your marketing campaigns more successful. For additional help, check out our guides to email accessibility and writing killer email subject lines. And don’t forget to follow us on Twitter and Facebook for more in-depth email marketing guides. Good article thanks. How do you recommend that measure engaged users when email B2B? Where are finding that a good percentage of the opens and clicks are created by bots and spam filters. Has anyone figured out how to differentiate a real click VS a bot click? I know there are techniques tracking a hidden pixel, but I have also heard that this can be flawed. Thoughts? Awesome tips number #13 is vital if you get into everyone’s inbox more of your mails get read and the more money you make. Glad you found the article useful, Jay. 🙂 Next, check out our email newsletter design guide for more engagement with your emails.